(Watchdog.org) Madison, WI – If history is any guide, 2014 promises to be a quieter — if not kinder, gentler — year in the Wisconsin Legislature. It is, after all, an election year, featuring a governor’s race that promises to draw intense national attention. “The closer you get to an election, the less likely anything significant happens,” said Joe Heim, professor emeritus of political science at the University of Wisconsin-La Crosse. Pundits and history agree: The odds of an ambitious legislative agenda in an election year aren’t very good. A lot of lawmakers have campaigning on the brain. Bravery, at least a stomach for controversial bills, is in short supply on the election clock, observers say. Don’t tell that to Sen. Glenn Grothman. Grothman has plenty on his to-do list. He wants to tackle election reform, including raising campaign contribution limits, tighten up the welfare system and take on tort reform. Grothman isn’t up for re-election in 2014. While some in the Legislature’s Republican majority may be itching for another year of bold reform, like 2011, their party’s leader may not be so jazzed. The governor may end 2013 affixing his signature to one of the more controversial bills this year. On Tuesday, Walker signaled he may sign a Republican bill that would require public input and a state Department of Administration hearing to initiate the process of removing a race-based school mascots. Whatever legislators plan to get done in the spring session, they’d better act fast. Assembly Speaker Robin Vos, R-Rochester, says his goal is to wrap up floor work by the end of February. Of course, the Legislature took care of its most pressing and important business this year when it passed a $70 billion-plus budget in June. The two-year budget includes some key provisions that certainly will be part of the discussion on the campaign trail — not the least of which was the $1 billion in income and business tax cuts. But Grothman said he and his colleagues aren’t about to rest on any laurels. “We got a whole lot accomplished in 2012. I don’t know why we couldn’t do the same in 2014,” the senator said. 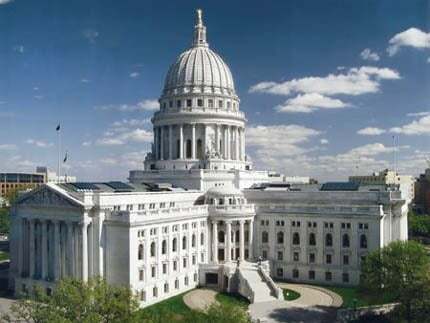 The 2012 spring session wrapped up in mid-March, making way for the campaigns of Wisconsin’s historic recall elections. While marked by some key pieces of legislation, it paled in comparison to 2011, when the Republican majority passed public-employee collective bargaining reform, a voter ID bill and concealed carry legislation. Wisconsin State Superintendent of Public Instruction, Dr. Tony Evers, said that any rejection of the Common Core may be taken to the WI Supreme Court.